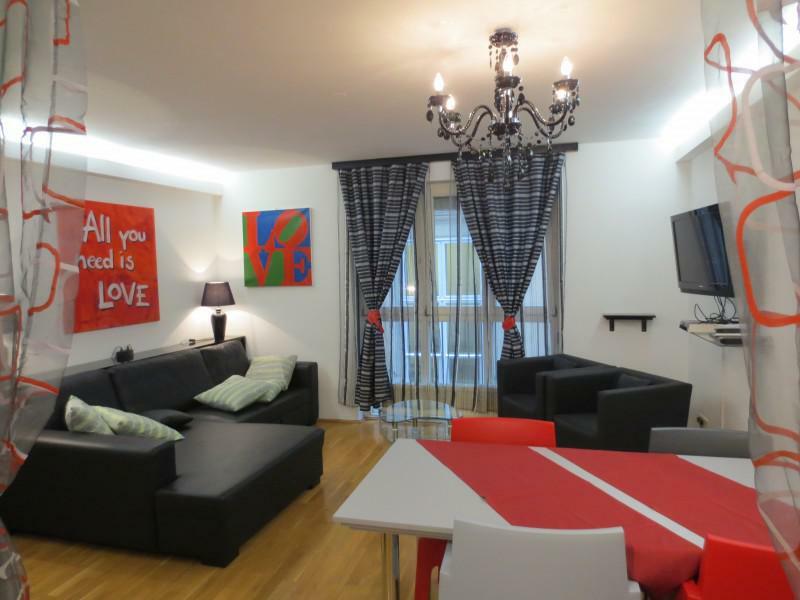 This wonderful, completely furnished apartment is located in a very exclusive area in the 9th district. 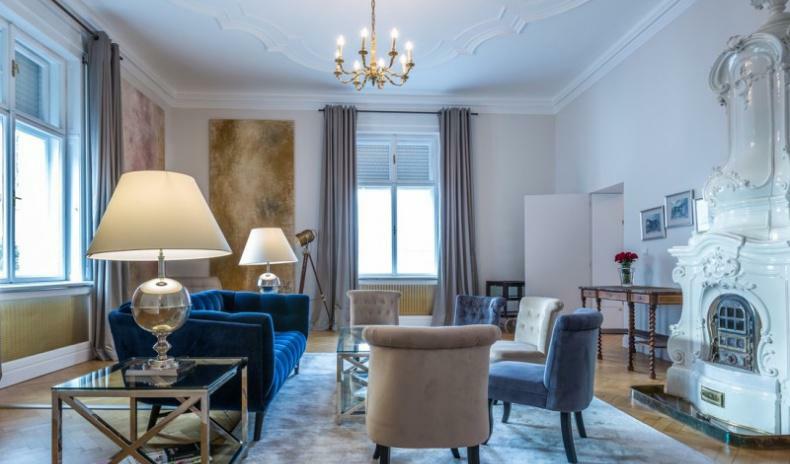 In near proximity you will find the most famous attractions of Vienna like the Stephansdom, the Albertina, the Spanish Riding Academy, the Hofburg, the KГ¤rntnerstreet, the University, the city hall, the opera and the Burgtheater. Furthermore the infrastructure offers direct connections to the public transports (metro U4, tramway 5/ 33). 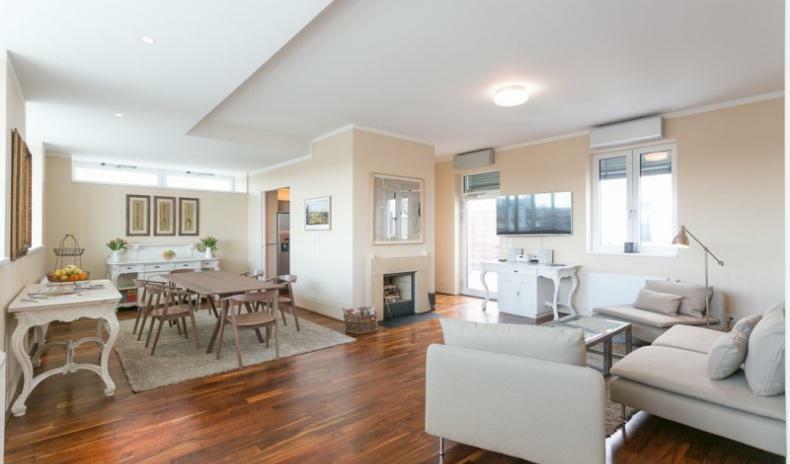 The apartment is situated on the 2nd floor of a charming house, which also has an elevator. The whole living are of 70 mВІ is spread on 2 rooms, which are all central walkable. The wonderful and modern furnished living room is very bright and owns a special flair. ItвЂ™s furnished with a big corner couch, which you can pull out to a double bed, a вЂњphonecenterвЂќ with a flat screen TV/ DVD with 90 channels. The open kitchen is completely equipped with all appliances (hob, oven, fridge, dishwasher, microwave, coffee machine) and a table with seats for 6 people. The master bedroom possesses of a big double bed, a TV/ DVD and a closet. Furthermore you also have a guest room. In the bathroom you have a multifunctional shower, a corner bathtub, a sink and a toilet. The washing machine and the dryer are hidden in a niche. Furthermore another toilet is separate. The apartment can be rent between 1 month and few years according to requirements. For details regarding the property AP-EA-R7075, please complete the form below. We ensure you the highest level of data protection and absolute discretion with regard to your personal information.